Advances in genetics are renewing controversies over inherited characteristics, and the discourse around science and technological innovations has taken on racial overtones, such as attributing inherited physiological traits to certain ethnic groups or using DNA testing to determine biological links with ethnic ancestry. 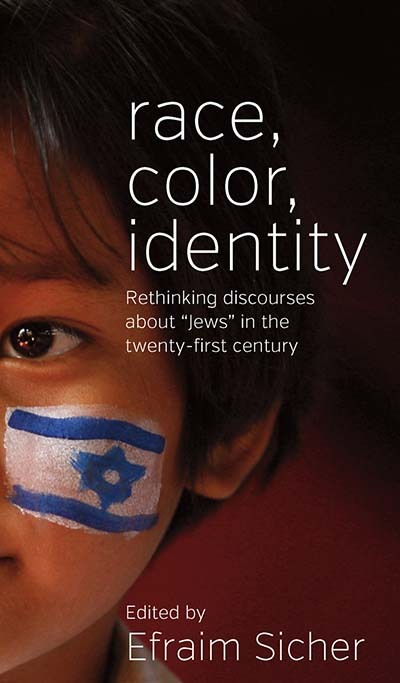 This book contributes to the discussion by opening up previously locked concepts of the relation between the terms color, race, and “Jews”, and by engaging with globalism, multiculturalism, hybridity, and diaspora. The contributors—leading scholars in anthropology, sociology, history, literature, and cultural studies—discuss how it is not merely a question of whether Jews are acknowledged to be interracial, but how to address academic and social discourses that continue to place Jews and others in a race/color category. Efraim Sicher is Professor of Comparative and English Literature at Ben- Gurion University of the Negev, Beer-Sheva, Israel. He has published essays and books on modern Jewish culture, Holocaust memory, and anti-Semitism. His most recent books are The Holocaust Novel (2005), Babel in Context: A Study in Cultural Identity (2012), Rereading the City / Rereading Dickens (2nd edition 2012), and Under Postcolonial Eyes: Figuring the “Jew” in Contemporary British Writing (with Linda Weinhouse, 2012). Chapter 13. Sarrazin and the Myth of the “Jewish Gene"
Chapter 17. Race by the Grace of God: Race, Religion, and the Construction of “Jew” and “Arab"